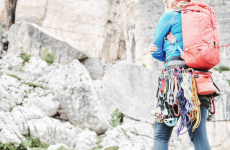 With the number of climbing shoes being introduced into the market, you might find it overwhelming when you want to select some new shoes for your climbing activities. 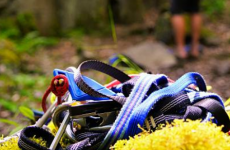 It becomes an even more daunting task if you are looking for your first climbing shoe. You may eventually settle on the one you feel has the things you want, but not without spending several hours of research. If you are reading this article, you have bypassed that step because in a couple of minutes from now, you will be reading our reviews of some of the best shoes on the market. We have spent the hours doing the research to help you find the right climbing shoes. This Scarpa Climbing shoe is designed to resist deformation when you stand on edges and micro flakes, thanks to the single strap and Vibram XS edge rubber. Whether you are having problems with overhangs or facing a tough boulder, the Instinct VS will bring up your performance to par. This shoe posses bi-tension randing for standing on dimes and has enough sensitivity for the pro climber. It is made with a synthetic sole and a bi-tension rand to provide excellent power. For maximum durability and grip, the forefoot is rooted in Vibram XS edge. Instinct VS promises a secure fit with its floating power strap rand vibrant 2 grip ensures that heel hooking is easy. The shoe has a SCARPA toe box that ensures that your toe is comfortable when it is inside the shoe. Once you go out two or three times, you will be able to break in this shoe. After that, you will be able to get a snug fit that will improve your performance. Unlike the other shoes on the market, this shoe has a design that makes it look like a work of art. The heel on the shoe is sticky and the rubber on the shoe has a nice precision. The bi-tension on this shoe can be used to warm up with confidence. They are durable. Many users agree that the shoe is not only durable but is also a good quality shoe for climbing. This is one of the reasons for the high rating of this climbing shoe. 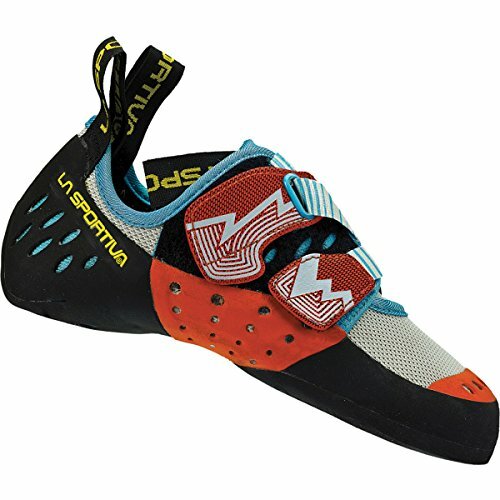 There are hardly any negative reviews of this climbing shoe, though new reviews are still coming in, so this may change. Compared to shoes from other brands (Kotana, Tarantulace, Miuras, Shamans, Solutions, etc.) 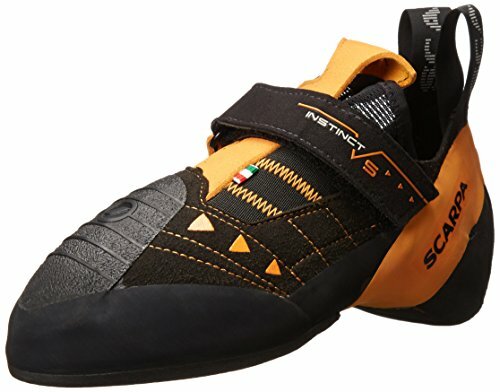 the SCARPA Men’s Instinct VS Climbing Shoe performs better and is hands down one of the best you can get on the market. 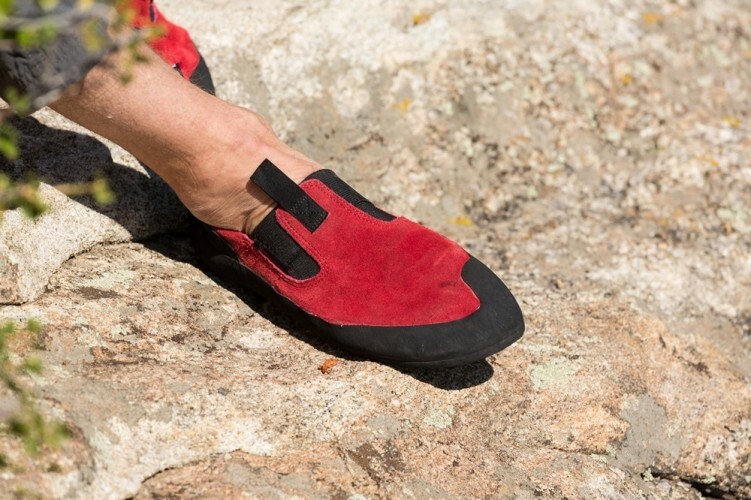 The Oxygym shoe is designed to provide what most women want in a climbing shoe: uniqueness and ease of cleaning. With the WashTex external fabric on the shoe, this shoe stays clean and hygienic at all times. The shoe has a breathable internal fabric for complete moisture disposal. This La Sportiva Oxygym shoe has complete padding so that you can use it for extended periods. This shoe is ideal for gym climbing and other climbing activities, as it is designed with a cool hook and loop enclosure system. It is washable. If you are concerned the sweat and moisture wicking feature might not be satisfactory, you can pull up the shoe and wash it with ease. The enclosure system is adjustable to fit multiple shoe shapes and sizes. The shoe is great for a narrow foot, with its tight fit heel flap. Not only is it washable, but it also breathes well, thanks to the 3-layer construction on the shoe. The Velcro on the shoe makes it easy to put it on and take off. 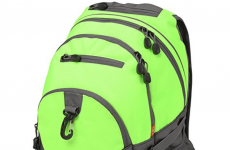 Moreover, it can be adjusted to fit tight and snug with the effective Velcro system. There are complaints that the shoe is a tad too small. However, this is not what everyone is experiencing and we hope the manufacturer will look into this soon. If you are looking for a shoe that will give you confidence when you are climbing with the pros, this is it. The La Sportiva Oxygym Shoe has amazing arch support and the rubber on it is awesome. This is an all-round technically designed shoe with an asymmetrical toe profile. It has an Axiom that brings high performance when it is downsized and offers a non-aggressive feeling when fitted flat toed. Whether you are a beginner climber or a seasoned pro, you will experience comfort and precision all day long with the lace-up feature on this shoe. It is designed not for a particular group of climbers but for any kind of climber. The rand of the shoe is built from long-lasting materials and its TRAX high-friction rubber is high quality. In addition, you will enjoy learning more about climbing with the additional tutorial DVD included in the package. The Evolv Axiom Climbing shoe has a Velcro system that works well. It will fit you snugly and will not become uncomfortable after a period of usage. Once you break this shoe in, it will become more comfortable. And with the laces on the shoe, it will always be tightened to your feet even when you stretch. Once you break this in, you will enjoy your shoe without any pain afterwards. The shoe is great for crack climbing. If you have tried other Evolv Axiom shoes, you may be used to an aggressive and more sensitive feeling you get. But if you are only concerned about getting the best experience from crack climbing, this is a good buy. The shoe is well made and the design makes it comfortable when you climb. As a beginner shoe, it is high quality and comfortable. There seems to be a lot of complaint about the size of this shoe. Most people complain that it is too small for them. If you are looking for a beginner climbing shoe that is effective for its price, this is it. While it is not as aggressive as the other Evolv climb shoes, the Evolv Axiom Climbing Shoe has all the features a beginner might need for climbing. Ranking these shoes performance wise, the SCARPA Men’s Instinct VS Climbing Shoe comes first, followed by the La Sportiva Oxygym Shoe . These shoes are both good for advanced climbers. 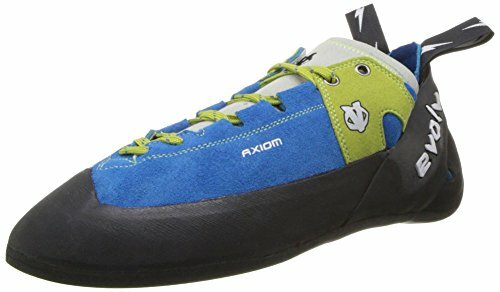 As for the beginner, the Evolv Axiom Climbing Shoe is recommended. This site uses affiliate links for some products. If you purchase through our links, it won't cost you anything extra and you help support this site. Copyright © 2019 Climbing Gear Geek. All Rights Reserved.